News: Where is Myntra CEO Ananth Narayanan headed next? Where is Myntra CEO Ananth Narayanan headed next? While some reports suggest that Narayanan is in discussions with Hotstar to take up the CEO role, other sources reveal he may consider moving back to his previous company McKinsey consultant to join its US practice. One month after the news of Myntra’s CEO Ananth Narayanan stepping down, speculations are that he may head Star TV-owned video streaming app, Hotstar or return back to his old firm McKinsey consultant. On the other hand, Amar Nagaram who moved from Flipkart to Myntra, in a newly created role of Chief Technology and Product Officer (CTPO) may take over Narayanan’s reign. “Post the restructuring of the fashion business at the Flipkart group, Myntra and Jabong merged and Walmart did not see a clear role for Narayanan. Also, Narayanan himself was not very certain about the road ahead in this new set-up, as Krishnamurthy was going to take direct control of the two entities as the Flipkart CEO,” told a person close to the development. Before joining Myntra in 2015 as its CEO, Narayanan had been working as a consultant with McKinsey for 15 years. After the Jabong acquisition, he had been heading the combined entity. Only time will tell where he is headed next to take his professional journey ahead. Flipkart’s acquisition and later Walmart’s involvement has created several jitters in the organizational structure of both Myntra and Flipkart. From creating new job roles to mass exits, a lot has been going for the brand lately. 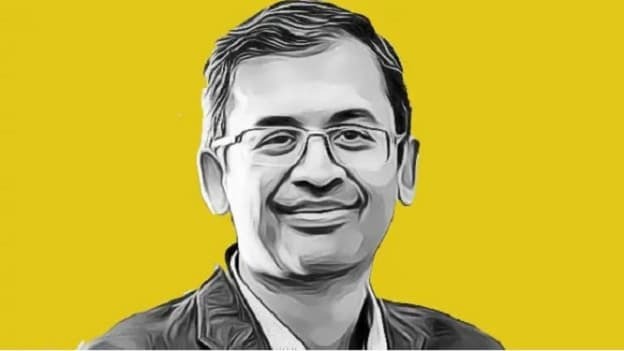 In November 2018, Walmart made a crucial reshuffle in the e-commerce firm and rolled Myntra and Jabong into the Flipkart organization and Kalyan Krishnamurthy became the group CEO with Myntra CEO Ananth Narayanan reporting to him. Krishnamurthy officially answers to no one, except the Flipkart board. Later, Krishnamurthy shuffled the technology teams at Flipkart and Myntra. Besides Nagaram, Myntra's Chief Technology Officer (CTO) Jeyandran Venugopal has been shifted to Flipkart to head its engineering division and Flipkart's mobile category Head Ayyappan R has been appointed to lead category management at Myntra. Both Nagaram and Ayyappan are said to be close aides of Krishnamurthy. The new changes that will be introduced at Myntra and Flipkart in 2019 under the leadership of Amar Nagaram will define the path for Walmart-owned online retailer in its next phase of growth. As per the latest update, Myntra has in a statement announced Narayanan's resignation as CEO of Myntra and Jabong and has confirmed the appointment of Amar Nagaram as the new head. "Ananth has played an important role in making Myntra and Jabong into a formidable player in the fashion e-commerce market and steering the company towards sustainable growth," said Myntra in a statement.